An interesting article in the Guardian, last week, shed light on new strategies to combat insect attacks on food and commercial crops, through genetic modification. But in such a way that the modified genes will not show up in the product. It may even not be the crop in question that is genetically modified, but another species planted nearby for protection. These strategies will make it harder once more for GMO adversaries to maintain a head-on opposition. They get enclosed from all sides. It’s like in the old Japanese game of Go. Tobacco Plants have been genetically modified in order to produce pheromones for the protection of other crops. Photo: Wkimedia Commons. On the one hand, environmental organizations might be tempted to embrace new techniques that will eventually substitute existing insecticides, like the neonicotinoids so bitterly opposed by them. But they might shy away from this position if these new techniques would include genetic modification, something that leading organizations like Greenpeace and Friends of the Earth have fought tooth and nail so far. GMO adversaries might therefore face dilemmas, and increasingly so in the future. Many new and sustainable strategies to combat harmful insects make use of the production of pheromones, volatile compounds mostly secreted in small quantities by females in order to attract males. Pheromones are specific to species and are not environmentally toxic. If they are released in their small quantities around a field, they will not harm the wider environment. One strategy, researched in a new European project, is to put pheromones (produced by genetically modified yeasts) in traps, that catch and destroy the males; this strategy is employed in growing tomatoes in greenhouses, to control pests like tuta absoluta. Another strategy might be to grow pheromone producing plants like genetically modified tobacco plants in between crops like orange, with the effect that male and female moths, for instance, cannot find each other. Please note that the crop itself will not be genetically modified, and this will render more difficult opposition by GMO adversaries. As the Guardian notes, the modified tobacco plants have been developed already, but under the current rather anti-GMO legislation in Europe, it may take 15 years to get permission to use this technique; in the meantime, the pheromones might be administered in the form of a spray. Researchers of Technical University of Denmark (DTU) investigate another major pest that could be controlled in this way: the fall armyworm. This pest has become a big problem in Africa: the worm has become resistant to insecticides. Control of these pests by pheromones could protect crops like maize and soybean. Cotton plants can be genetically modified to feed on phosphite instead of phosphate, which could save a lot of herbicides. Photo: Wikimedia Commons. And then, a recent publication in PNAS highlights another useful application of genetic modification that might give second thoughts to GMO adversaries. Keerti Rathore and his colleagues of Texas A&M University propose to grow cotton plants that they have engineered to take up phosphite instead of phosphate, the nutrition taken up by all other plants. 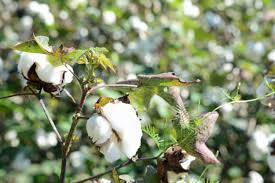 They spiked the gene for phosphite dehydrogenase (PTXD) from the bacterium Pseudomonas stutzeri into cotton DNA, whereby this cotton variety can be fertilized with phosphite. This might be an effective solution to control glyphosate-resistant weeds, that are reported to become a big problem in the US, Brazil and Argentina. For by fertilizing the field with phosphite exclusively, only the growth of the cotton plant is stimulated, and not that of its competitors, like weeds. In this case, the modified genes will show up in the cotton, but as this is not a food crop, people will not ingest them. Resistance to GMOs has led to new lines of research, particularly in Europe where GMO legislation is strict. Nowadays, the development of many new varieties is indicated by GM techniques that lend insight into the genes that need to be changed; whereas the actual breeding is done by classical techniques. Much faster than in the past, although slower than if, for the same result, developers had used the GM technique for the actual breeding. The major benefit: circumvention of cumbersome regulatory processes. And then there is the discussion on the acceptability of cis-genesis, where genes are deleted or modified from the same species. Even if this is done through genetic modification, there is no difference in principle from classical breeding techniques – except that GM techniques like CRISPR allow us to perform the same processes much faster and much more precisely. Any objections to precision? And so, one after another of the old objections of GMO adversaries is undermined by new developments. Ingesting modified genes? 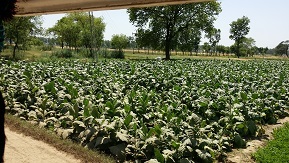 Not if the modification is done with tobacco plants, planted in between the actual crop. All the more so, if the crop is cotton. Objections due to the suspected toxicity of glyphosate, used to clean up the field so that GMO crops resistant to glyphosate might be grown? Not if plants are modified to grow on a different fertilizer. Objections due to ‘playing God’? Not if the same changes can be done through classical breeding processes. GMO adversaries seem to become encircled from all sides. Not that their position has been fruitless. In fact, they contributed to the development of new useful techniques, and made us think better on ethical issues connected to this technology. But their position might become untenable; one day, encircled from all sides, their castle might just crumble away. Hopefully, by that time mankind will have developed new criteria to judge techniques like gene drives and modification of human embryos. For not all that genetic modification can carry us, will necessarily be for the greater good.